Looking for alternatives to RationalPlan? Tons of people want Project Management software to help with alerts, issue tracking, and calendar view. What's difficult is finding out whether or not the software you choose is right for you. We have compiled a list of Project Management software that reviewers voted best overall compared to RationalPlan. Based on reviewer data you can see how RationalPlan stacks up to the competition, check reviews from current & previous users, and find the best fit for your business. "I like to use Basecamp for all my projects: I liked that I could see my teammate's tasks and that tasks could be separated into projects, by a person, etc. The organization of it was great." 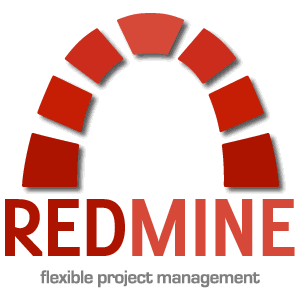 "excellent option for project management: is a tool of great help for project management, especially because it facilitates collaboration in real time, which makes it a good option since this feature together with the different integrated functions allow to obtain very good results before planning, development , administration and absolute control of the projects in management that are desired. It is also attractive software in terms of its implementation and use from mobile devices and tablets because it allows access anywhere and anytime, without the need to be seated in front of a desk." "perfect planning and team collaboration with wrike every day: I keep the states and reports of each project in real time with the best planning and team collaboration using a combination between wrike and activecollab, the software I like, although some tools in android are bad and that's why I use several programs, but in general the wrike gives me good tools to plan and execute the work having good results and at a significantly low cost is the jewel in the crown since it is modern and has very good performance"
Hi there! Would you like help finding solutions similar to RationalPlan?